It’s not possible to look in both directions at the same time. 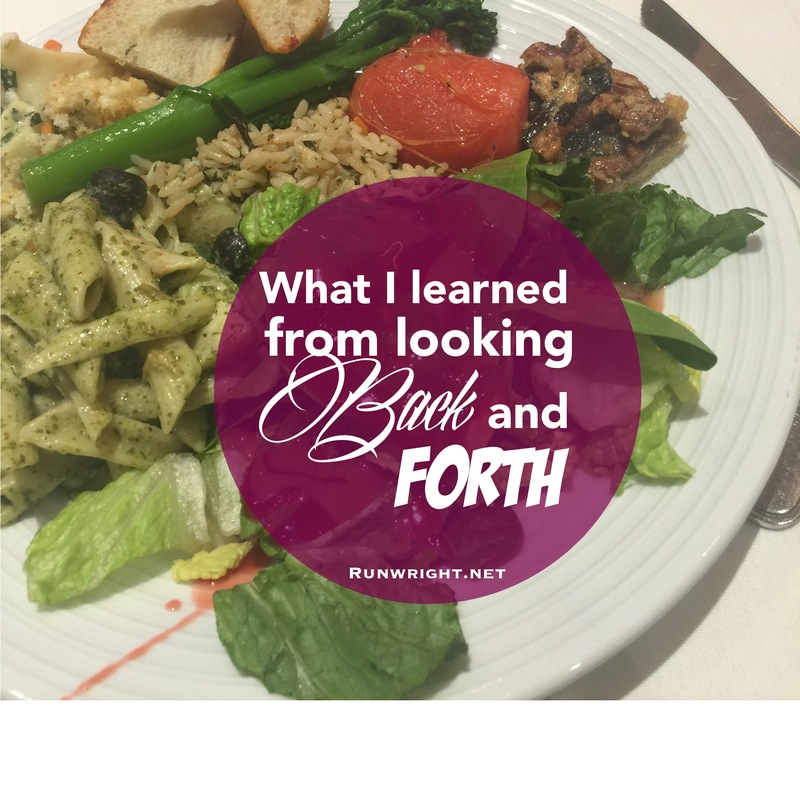 Indeed, the very act of looking back and forth suggests one has to stand still. But I believe it’s healthy and even necessary sometimes to look at where we’re coming from so we can make a plan for where we want to go. 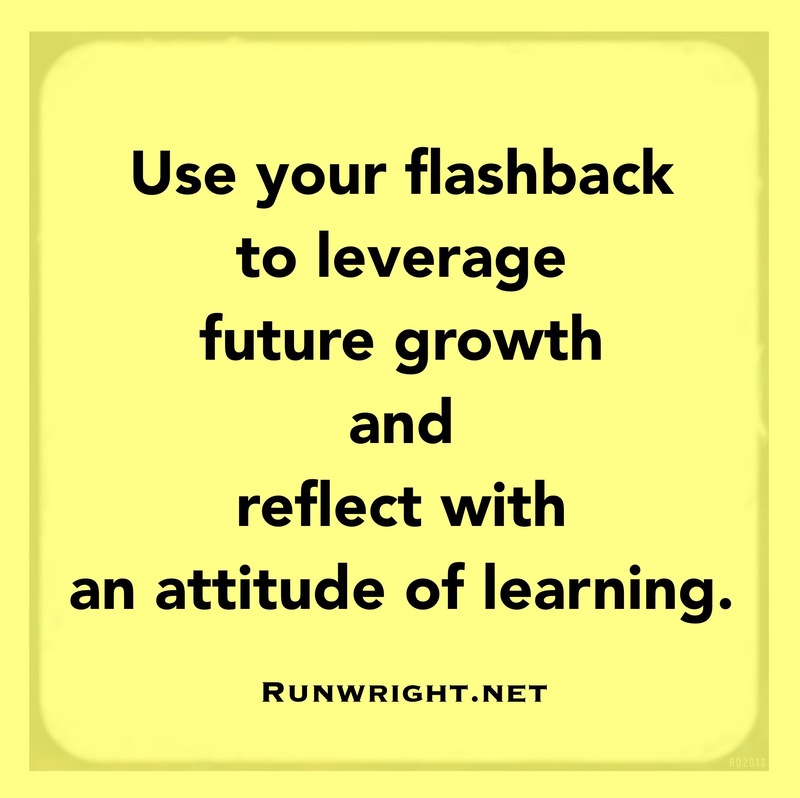 The key is to use the flashback to leverage future growth and reflect with an attitude of learning. Visiting the nursing home. Once a month, I go with a group and we sing and talk to the residents, many of whom have been there for a long time so we see them every visit. It’s sad and oddly comforting that they are long-term residents but one of the men shared a story that he’s been having surgery and rehab and he’s healing well. His optimism about being able to walk unaided again someday made me want to cry. I didn’t then but I might now, just thinking about him again. The visit made me a lot more thankful for my health and made me want to just get healthier myself. Spending Sunday morning with my youth group kids. We haven’t been meeting regularly for a long time and we have some new kids along with some of the returning members and I love the new dynamic and I’m excited about doing some creative activities this year. Cue the photo montage that shows me planning cool activities, maybe even going out of my comfort zone a little so we can all try some new things. I cooked. I haven’t cooked in a while but I made chicken and broccoli and it was so good that later, I even sliced apples and made baked apple chips. Yum! And a step in a healthier direction. I finished reading my 14th book this year. I am tracking my books with Goodreads and it keeps telling me whether I’m on track to reach my goal of 100 books this year. If you’re on Goodreads too, we should be friends (User name: Runwright) Taking a few days to delve into some good fiction has me scribbling story ideas all over my journal. I am almost on the edge of my seat waiting for my next writing session so I can start fleshing out the details. I ran. Again. It’s coming back to me now. The reason I like running – even huffing and puffing my way down the street, my mind begins to clear and I can brainstorm how to make friends and influence people, I develop an idea for a story I want to write, I figure out how to take over the world. Running: I recommend it. So far, I’ve been sticking with the 2 mile limit each run just so I can ease back into things but I can feel that it’s not so much of an effort. And soon, I’ll be ready to increase my mileage and intensity. For now, I’m just glad I’m running again. My book being available. It should be any day now. Getting some work done on my new (top secret for now) project. What was the best part of your weekend? What are you most looking forward to for the week ahead? If we don’t know where we have been or where we are, it’s hard to know what we like / don’t like etc. reflection is so important. We simply need to make the time to do it. Sitting here at my counter, reading blogs, having my morning coffee, and like you, taking some time for reflection in the rear view mirror. And now, I’m inspired to go for a run and see what ideas pop into my head! What a wonderful service you provide for youth and the elderly! Best wishes with your runs, cooking , reading and writing goals. I definitely think reflection is important and healthy ! it’s how we learn and grow. Staying stuck in the past is where it gets detrimental. That’s so great of you to volunteer both with youth and the elderly. Must be a gratifying experience! And running is definitely such a cathartic experience. That’s a lot of great things going on, Run! The site looks awesome. I can’t wait to hear more about your project.